Hey Walker – Go do a Walkathon! Get your Walkers High! 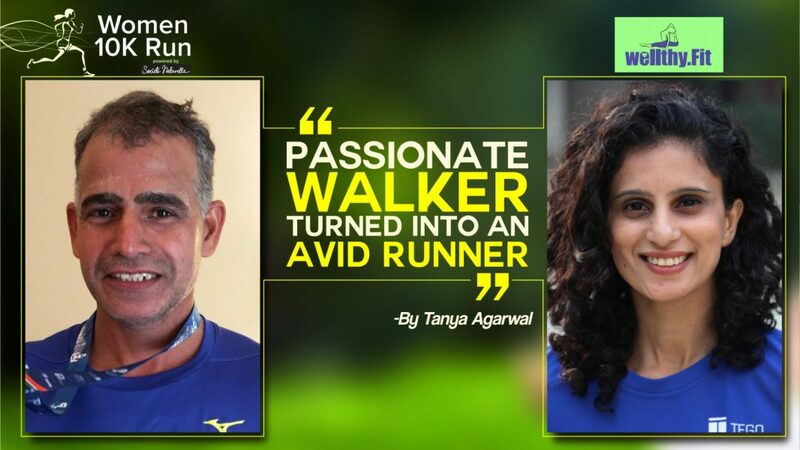 I am writing this blog especially to bring out and urge all the avid walkers to come and participate in the very first WALKATHON organised in Gurgaon, by Coach Ravinder Singh. Before I turned into a half-marathon runner I was an avid walker for years! There are strong witnesses and sufferers in my society who walked me every day during and post both my pregnancies. For a majority of brisk walkers, jogging or slow running is a natural transition! Walking is a brilliant option for budding runners! Something similar happened to me- Yes an avid yogi, I never stopped walking. The truth stays that on my physically trying days, I have pushed myself to go take a walk…it relaxed me, cleared my mind and gave me a goodnight sleep. Not every fitness related activity has to be adrenaline pumping or high on intensity. A light workout/ low-impact cardio activity is great on regular bases too. I continue to be a brisk walker. But there was something that pulled me towards running more than walking. This is my personal opinion. And that was the Runners High! Finishing a 5km/10km/21 km run,coming back home with a medal and a certificate, experiencing the happy endorphins that kick into our body after a run was simply wonderful. And many times I thought why doesn’t a good walk give a good rush? Or maybe it does, but then why is walking not looked as an achievement by itself? why don’t we talk about the walkers high? Is it because walking is not considered a sport? Is it because fitness events today give away a medal for finishing a 5k run and nothing like this is ever organized for the walkers? So here it is – the first Walkathon of Gurgaon – An event that is just not for runners! It’s a moment of pride for all the die hard runners to have all the traffic stopped for them! It will be something to see the first time walkers and the avid walkers get a finishers medal and they may actually experience a Walkers high! Don’t wear a new pair of shoes on the day of the walkathon. Blisters and chaffing can be a serious problem in a new show. Stick to the ones you have been walking in. Do a 10 minute warm up before you start walking in the event. Basic and mild stretches like touching your fingertips to your toes, arm swings. If you are a new walker – then start walking slowly before you start walking quickly. Work on your walking posture – drop your shoulders, relax your arms, bend your elbow to a 90 degree angle, keep your tummy firm but not very tight and look six feet in front of you. Walk 20-30 minutes every alternate day at least. As your comfort grows you could walk everyday for the same period. Enjoy, get your Walkers High!